The stadium has been the home of Margate FC since 1929, the same year the park itself opened to the public. The local council had purchased the former grounds of Hartsdown House for public use and built a stadium which it was agreed the football club would lease, initially at a charge of £200 per year. Initially the players had to change in Hartsdown House itself, approximately 200 yards from the pitch. A small wooden grandstand with 500 bench seats was soon added, followed shortly afterwards by new dressing rooms and a second stand on the north side of the ground containing a mixture of standing and seated accommodation. The first ever match at the new stadium was a friendly against Folkestone on 31 August 1929 and the first competitive match a Kent League fixture against Dover two weeks later. In 1934 the club entered into an agreement to become a nursery team for Arsenal, and as part of the agreement the Hartsdown pitch was altered to exactly match the size of that at Highbury. 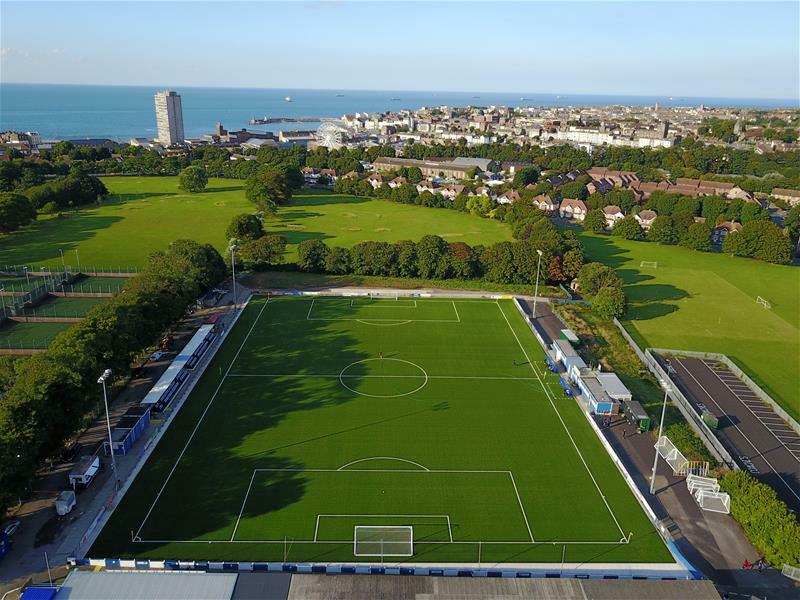 The stadium is approximately 0.7 miles (1 km) from Margate railway station, which lies on Southeastern's Chatham Main Line from London Victoria to Ramsgate and is also the northern terminus of the Kent Coast Line to Dover Priory.